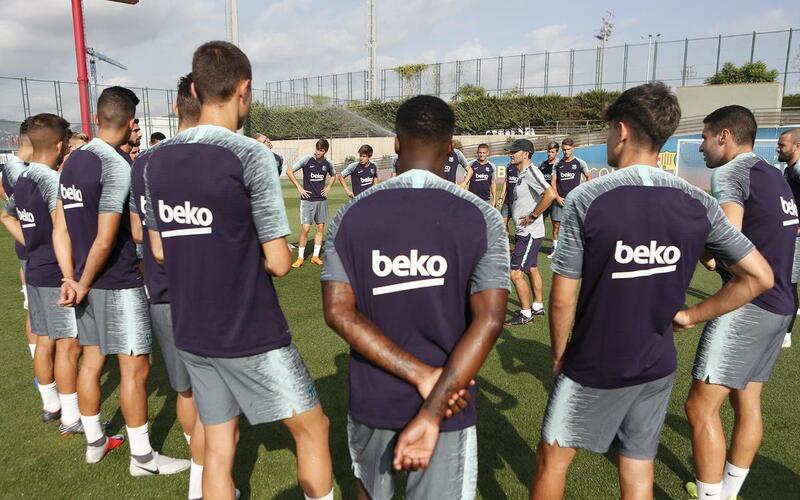 After completing a double session on Monday, Ernesto Valverde had his players back at it again in training on Tuesday morning, ensuring their sharpness before heading off to the United States later in the day. Those available from the first team were joined on pitch seven of the Ciutat Esportiva Joan Gamper by 13 Barça B players; Jokin Ezkieta, Palencia, Cucurella, Mingueza, J. Cuenca, Miranda, Monchu, Collado, Riqui Puig, Abel Ruiz, C. Pérez, Chumi and Ballou. The US tour will finish on August 4, and Barça’s opponents will be Tottenham Hotspur (July 29 in Los Angeles), AS Roma (July 31 in Dallas) and AC Milan (August 4 in San Francisco).